Russian manned space station. 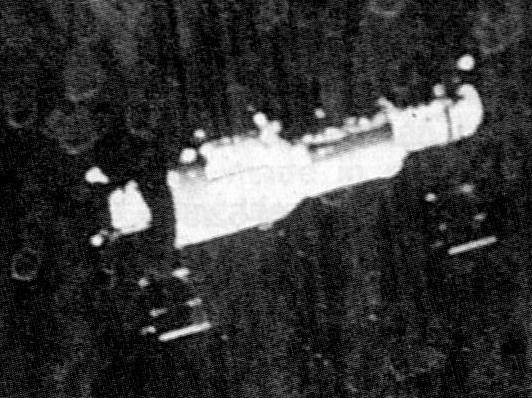 Salyut 1 was the first DOS long duration orbital station, an Almaz spaceframe modified with Soyuz systems by a joint Korolev-Chelomei team. Launched 1971. AKA: 11F715;17K s/n 121;Zarya. Status: Operational 1971. 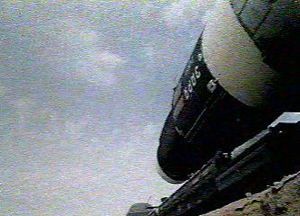 First Launch: 1971-04-19. Last Launch: 1972-07-29. Number: 2 . Thrust: 4.09 kN (919 lbf). Gross mass: 18,210 kg (40,140 lb). Unfuelled mass: 16,210 kg (35,730 lb). Specific impulse: 282 s. Height: 13.07 m (42.88 ft). Span: 9.80 m (32.10 ft). Crew Size: 3. RCS Coarse No x Thrust: 14 X 98 N. RCS Fine No x Thrust: 18 x 10 N. RCS Coarse Backup No x Thrust: 4 x 98 N. Spacecraft delta v: 320 m/s (1,040 ft/sec). Electric System: 1.00 average kW. Family: Soviet Space Stations, Space station, Space station orbit. Country: Russia. Engines: KTDU-66. Launch Vehicles: Proton, Proton-K. Propellants: Nitric acid/Hydrazine. Projects: Salyut. Launch Sites: Baikonur, Baikonur LC81/23, Baikonur LC81/24. Agency: Korolev bureau, MOM. Bibliography: 2, 21, 274, 32, 367, 376, 474, 51, 57, 6, 67, 76, 89, 6848, 13049. 1970 July 29 - . 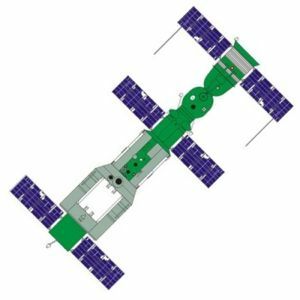 DOS plans laid out at Monino Space Conference. - . Nation: Russia. 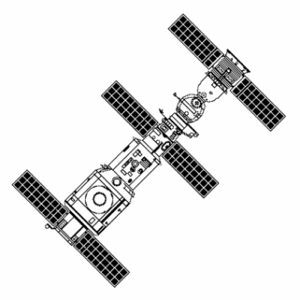 Spacecraft: Salyut 1, Soyuz 7KT-OK. The Fourth Military-Scientific VVS Space Conference at Monino. The VPK has finally approved completion of space stations DOS #1 and #2. They are designed to support 70 to 80 days of inhabited flight. They will be launched by a Proton UR-500K, then followed 8-10 days later by a Soyuz 7KS launched by an R-7. 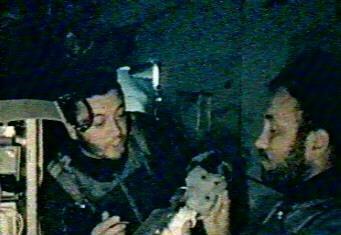 After thirty days aboard the station, the first crew will return. A few days later a second crew will be launched to man the station. 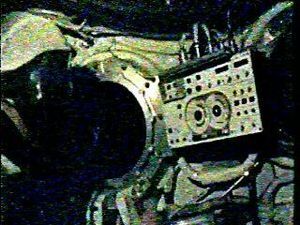 The 7KS version of the Soyuz will have an internal hatch for transfer of the crew from the spacecraft to the station. There will be no solo Soyuz flight to test the crew's response to a 30-day mission before the first DOS flight. 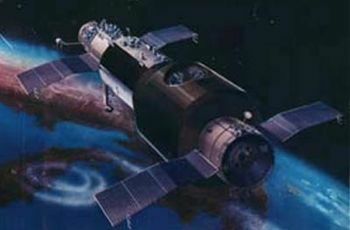 DOS#1 is scheduled for launch in February 1971, to coincide with the 24th Meeting of the Communist Party of the USSR. Kamanin knows it actually can't be any earlier than May 1971, but nevertheless the cosmonauts are required to train so that they will be ready by 1 February.